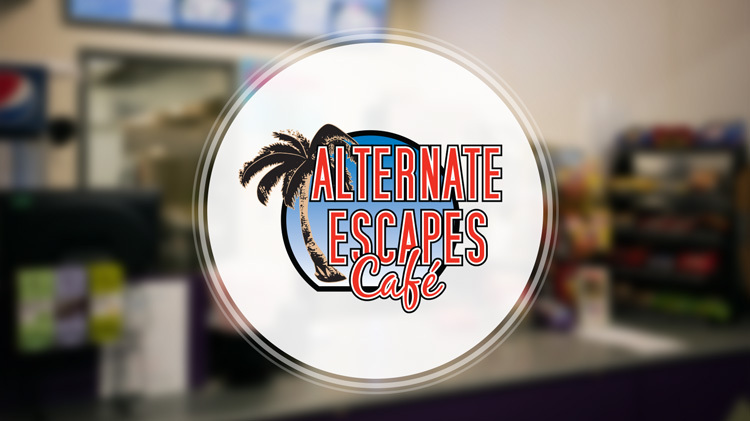 Alternate Escapes Cafe is a full-service restaurant serving breakfast until closing, lunch, and dinner any time of the day or night. The menu features signature sandwiches, burgers, shrimp, chicken, fries, sides, and snacks. Hot and Frosty Coffee treats and smoothies are also available.